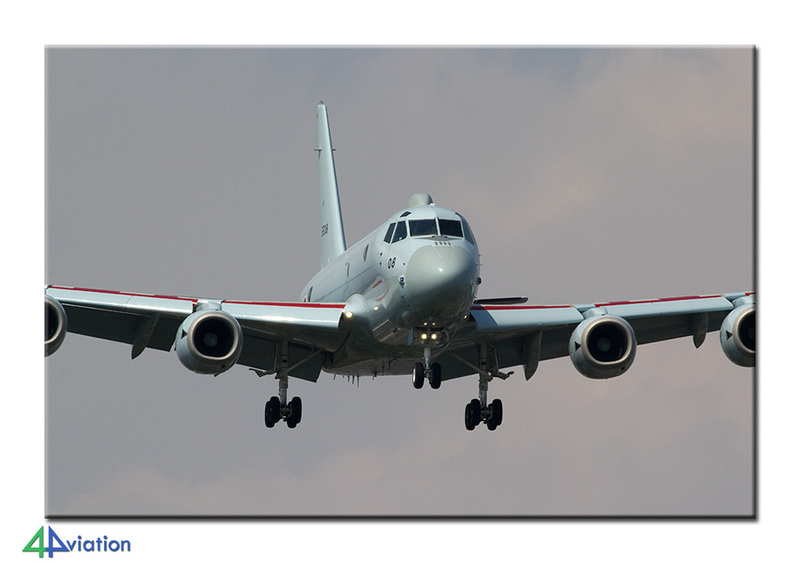 In April 2015 another 4Aviation tour to Japan took place. 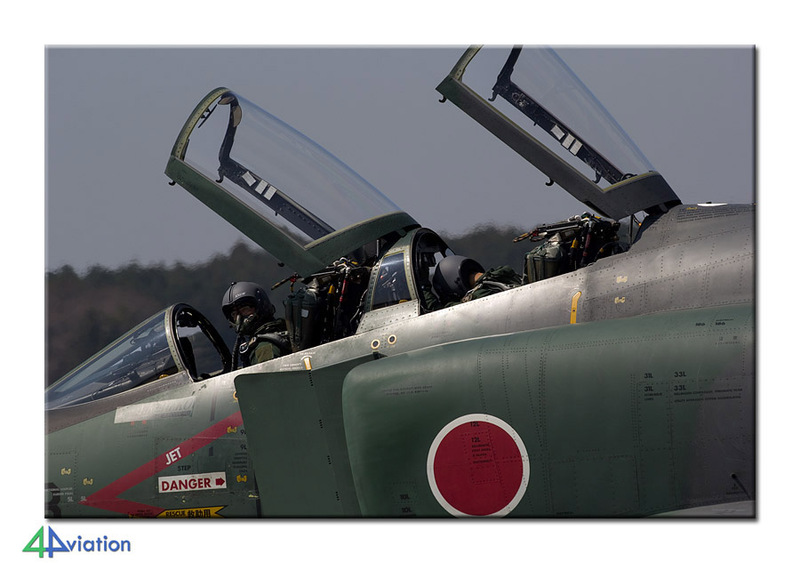 The tour resulted, yet again, in numerous opportunities to photograph the various type of the Japan Air Self-Defense Force, the Japan Ground Self-Defense Force and the Japan Maritime Self-Defense Force alongside various US aircraft. 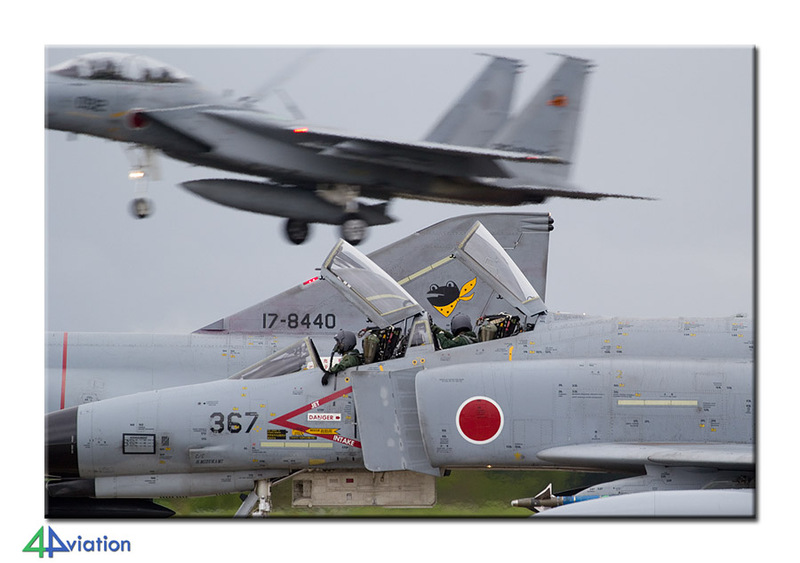 On Saturday 4 April 2015 7 of the 8 participants of the 4Aviation Japan tour (number 9 had to cancel unfortunately) met at Schiphol. After two Lufthansa flights we arrived at Narita on Sunday 5 April early in the morning. Number 8 was there to greet us. We made sure to have cash money, collected the rental vehicles and started driving. The tour started with the traditional act of buying stepladders and after that we had a quick peek at Shimofusa. What followed was a couple of wrecks & relics and the gate guards of Kasumigaura before we arrived at the hotel of our first real night. The day was by then almost over already and all were rather tired too. 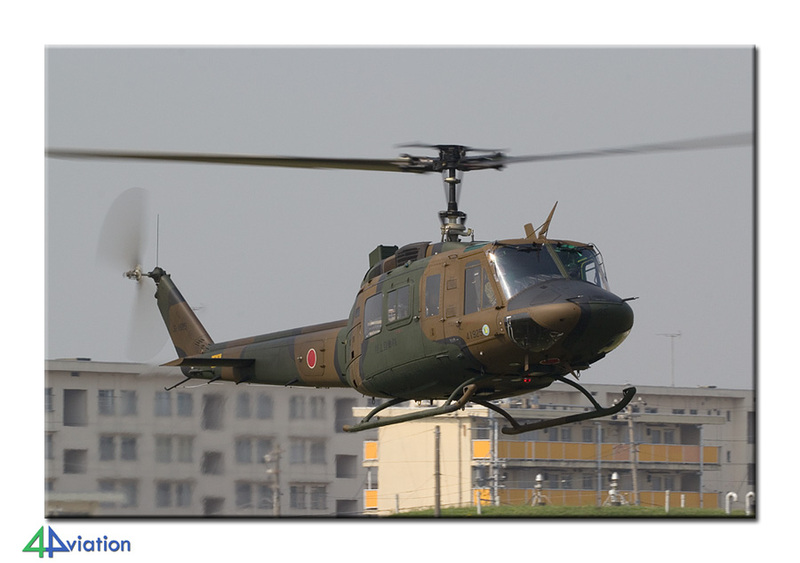 Hyakuri was scheduled for Monday (6 April). We were at the agreed meeting point in time to arrange the gates to be opened for access to the towers. Our contact helped with that and after paying the applicable fee the gates opened. The weather was very good. And that was not to be expected, since the forecast for this Monday was not very good. The sun was shining and the memory-cards soon got fuller and fuller. The level of activity was good, as usual. 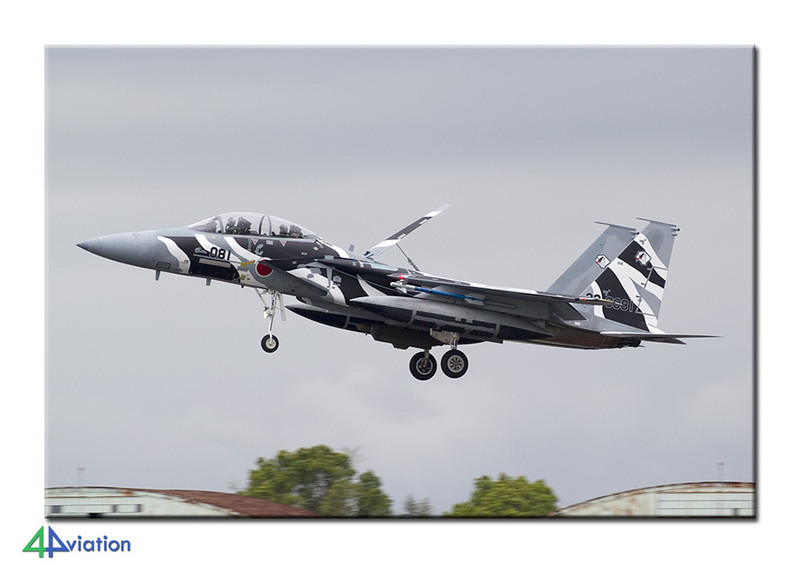 We were lucky to witness the departure of the special colours F-15 of 305 Hikotai. This departed for maintenance during which its special colours are to disappear. At the end of the afternoon we were satisfied and drove towards the next hotel. A Japanese spotter offered to ‘help’ us during the evening diner resulting in ordering items we would probably not have chosen if we had to choose from the same menu without the Japanese guy being there! On Tuesday morning 7 April the mood of the group was a bit somber. The day started at Iruma with a lot of clouds and lots of rain. The platform was filled with a large number of aircraft as it normally is and aircraft were flying. We waited in the rain for a while and then headed for the memorial park and Yokota (where one C-130 just took off) before ending up at Atsugi. 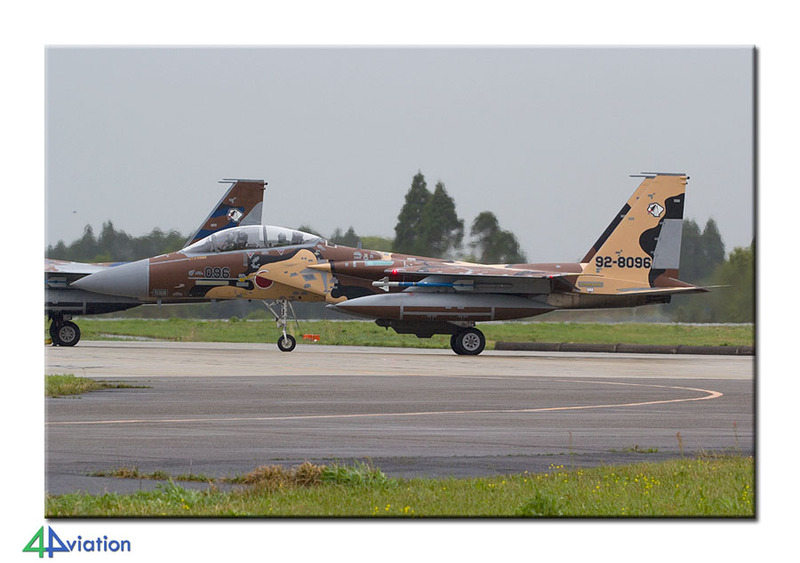 At Atsugi a large number of aircraft flew, despite the bad weather. After spending a couple of hours here it was time to head for the next place to spend the night. We were up early again on Wednesday morning 8 April, only to find out that the weather forecast was accurate. Still overcast and rain. After feeling that rain at Shizuhama for a while (while waiting for activities from the based T-7s) we decided to alter the schedule for the day. 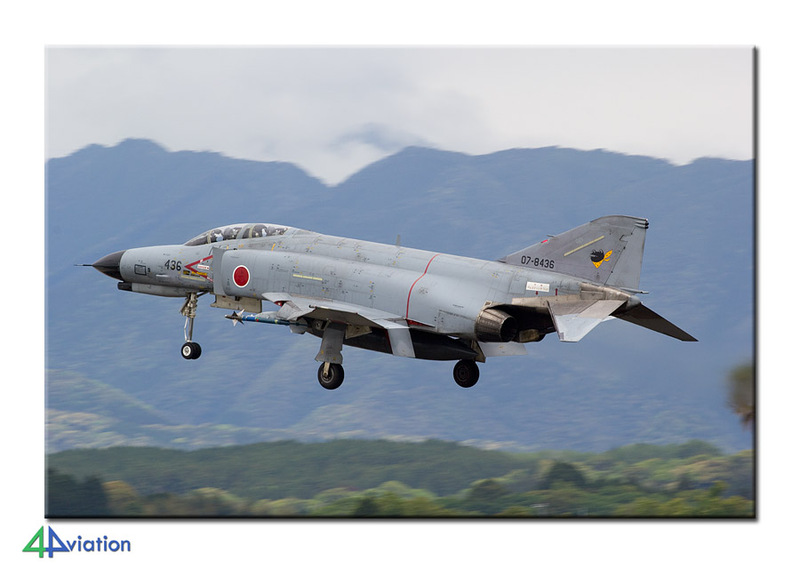 The original plan was to drive to Gifu in the afternoon to see the test wing’s aircraft. Since the outlook was that we would still be wet from the rain we decided to go to Hamamatsu today instead of Gifu. The Air Force museum is located there and it doesn’t rain inside the museum. Eventually we ended up finishing the museum and Hamamatsu in time to also head for Komaki later in the afternoon. On arrival there the weather had improved a lot and we were able to photograph a fair number of aircraft in the sun under very fine circumstances. From Komaki we still has some driving to do before reaching our hotel near Komatsu. Therefore, dinner was enjoyed at a highway restaurant. The mood was very good on Thursday (9 April) when we drove from the hotel to Komatsu in the morning. During the daily shopping spree at the 7Eleven we were able to have a good look at the clear skies with bright sunshine. On arrival at the air base we soon saw Eagles on the flight line. We found a spot in the approach are and waited for the things to come. 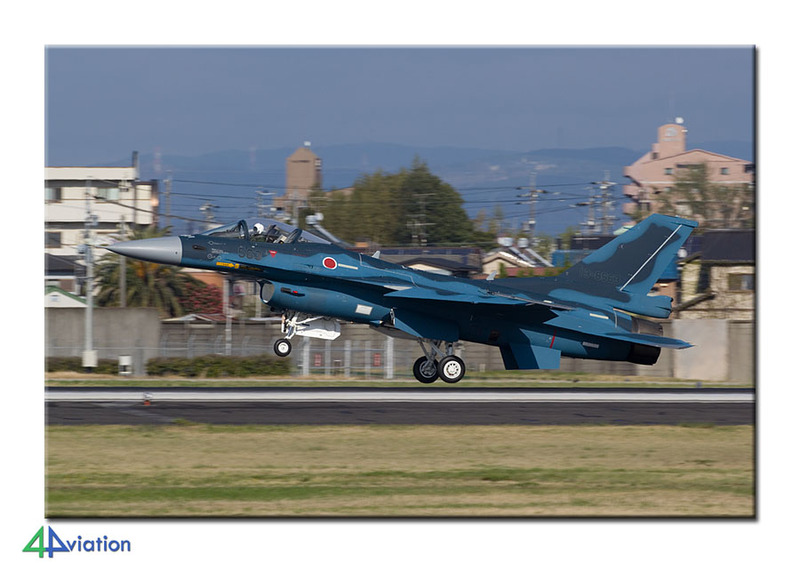 The Japanese normally start flying early in the day. Not today though. All we did was wait, in the sun. After one and half hours, almost having finished all snacks that were bought at the 7Eleven, we decided to go the terminal toi have a look what was going on. Since nothing was flying anyway we also visited the museum (Aviation Plaza). From the terminal building we saw no less than 27 Eagles parked on the tarmac. But, we also saw lots of Japanese on the platform. Apparently a ‘loading exercise’ was going on. From other Japanese on the terminal building we learned that there would be no flying today. Indeed, soon after they started towing the Eagles back into their hangars. 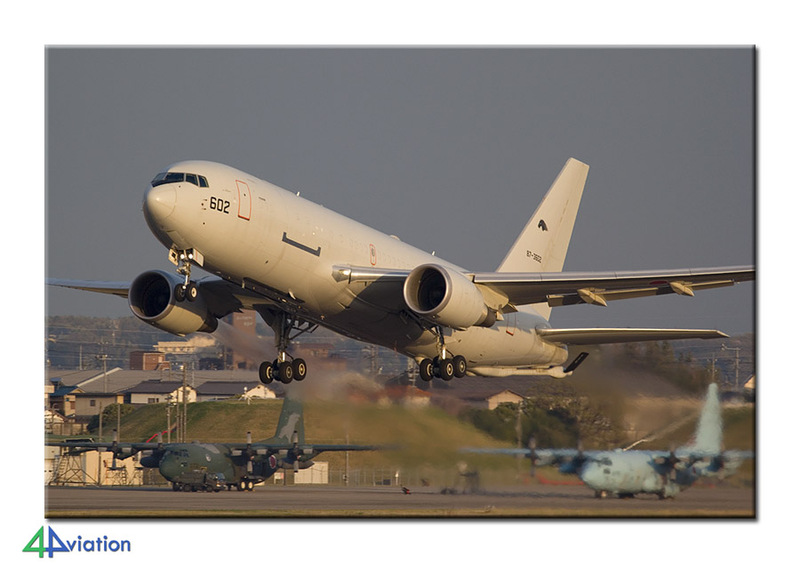 All 27 aircraft were towed inside in no-time after which the hangar doors were closed again. We changed our plans again and decided to go to Gifu (which was ‘close’ to the road we would take to Tokushima). This appeared to be a good decision, we were in time to capture the varied afternoon wave at Gifu and a fair number of visiting aircraft. On the final operational day of the first week (Friday 10 April) it became clear that this year we would meet more rain this April than we were entitled to and more than ever encountered in April. 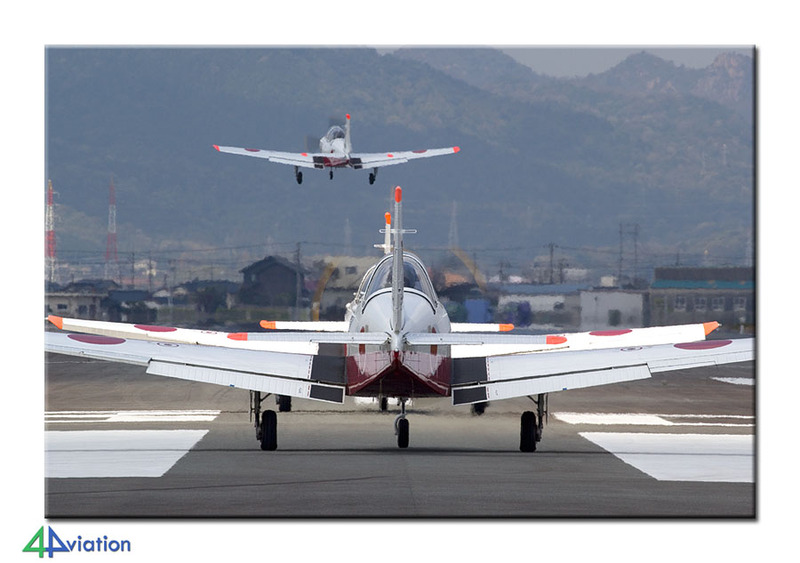 At Tokushima the Beech TC90s of 202 Kyoiku Kokutai were standing outside while rain was pouring down. There were no signs of anything happening at short notice so we moved on to Komatsushima rather soon after. The weather also influenced our visit there and we were finished soon. We were supposed to spend the night in Hiroshima and we therefore decided to have a look at Iwakuni in the afternoon. It was already rather late when we arrived there and had to make do with only a couple of aircraft. Everybody was still in high spirits though and looked forward to the second week, which was promising weather wise. On Saturday 11 April we started at the Hiroshima Peace Memorial. After spending a couple of hours here and after contemplating what had happened here we drove to Iwakuni to find out if anything relevant was going on there. The activity was limited to one C-130J taking off and we ended up in the hotel early for a change (which was convenient). 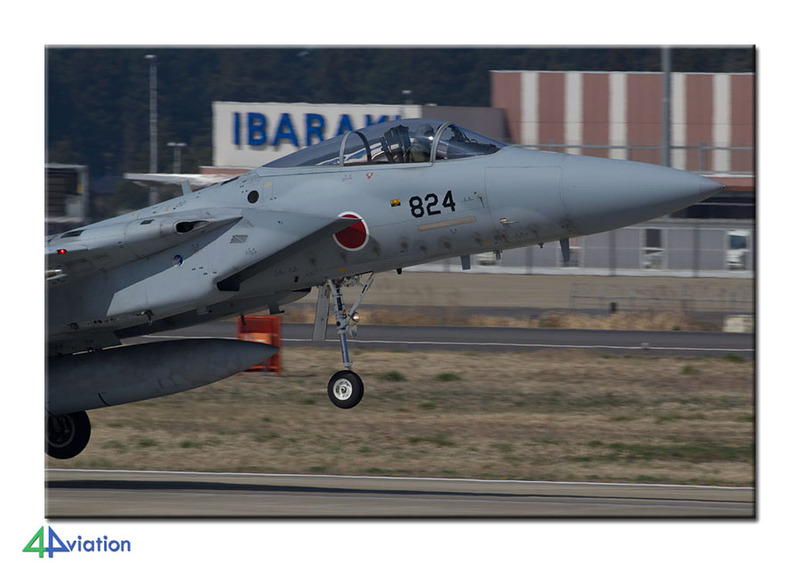 The open day at Takayubaru – Kumamoto was our target for Sunday 12 April. When arriving there it was clear that army open days do not attract such huge crowds as air force open days. 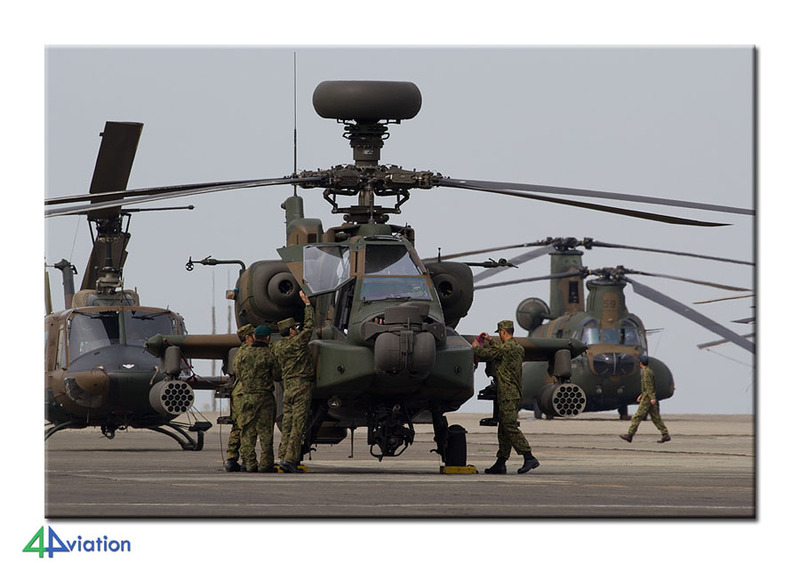 The atmosphere was very relaxed and the platform contained a decent number of the several types of choppers they operate from this base. 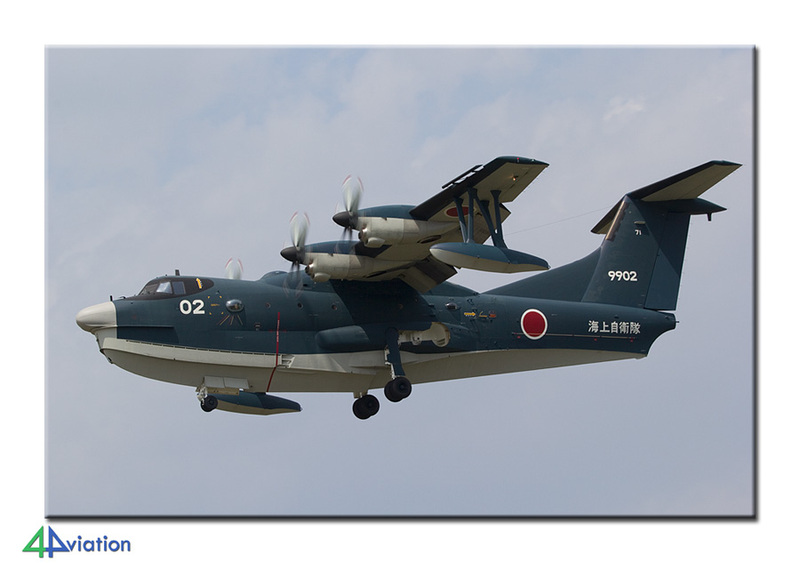 The static display also contained an LR-2, a navy H-60 and a T-7 from Hofu. 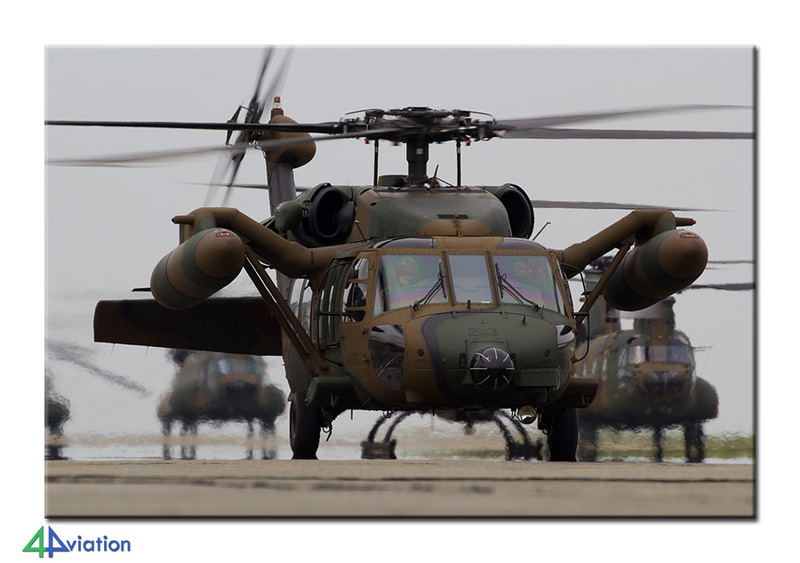 The show started with the take off by a large formation of helicopters that offered very nice photo opportunities. The Japanese were very cooperative and we could freely move anywhere we wanted. This meant that we could also get to the other part of the platform that contained helicopters that would fly later on too. All in all a very nice event with very fine photo opportunities. In the afternoon we continued towards Miyazaki, the most Southern city of our tour. Monday 13 April was another ‘important’ day. Today we were going to visit Nyutabaru. 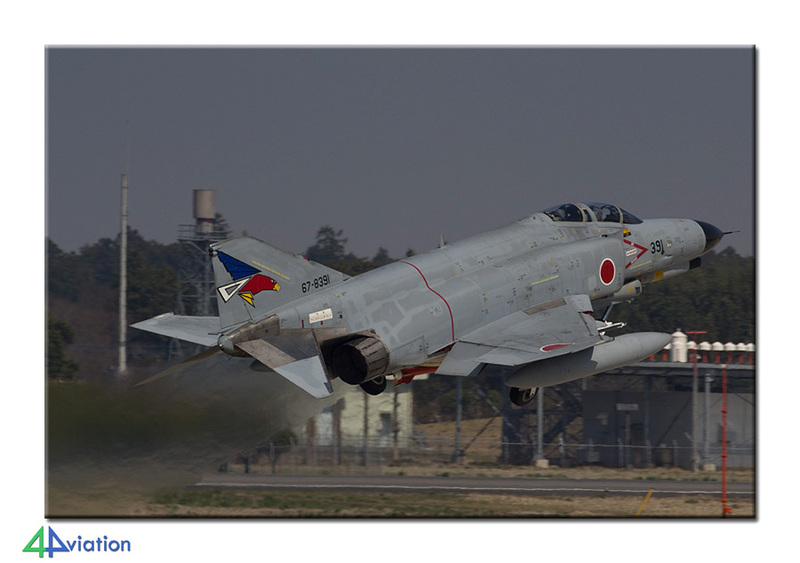 An air base that appeals to many because of the Phantoms, Aggressor Eagles and good photo opportunities. The weather was fair and a lot of flying was going on. Because of the runway changes more photo opportunities occurred. 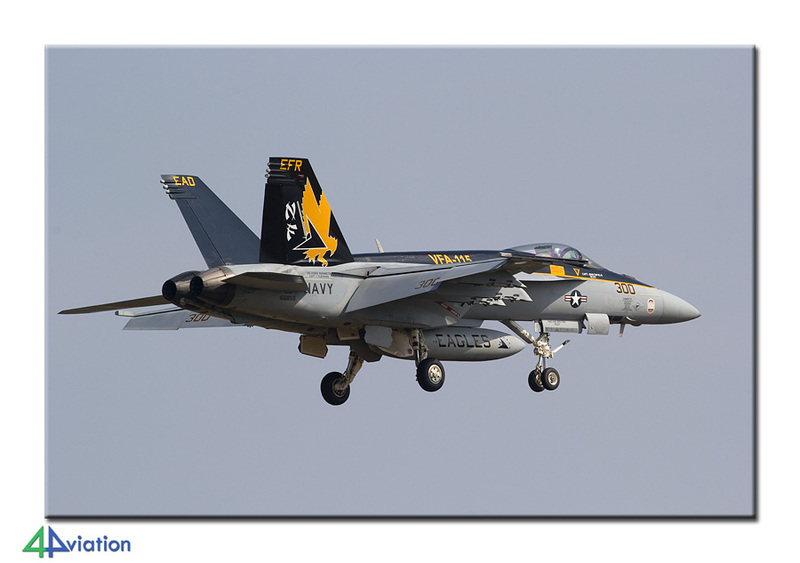 It was just a very nice day with a first launch of all squadrons with about 20 fighter aircraft all together. At the end of the day we were facing a drive towards Fukuoka again and a meal along the highway (cheap and very good). 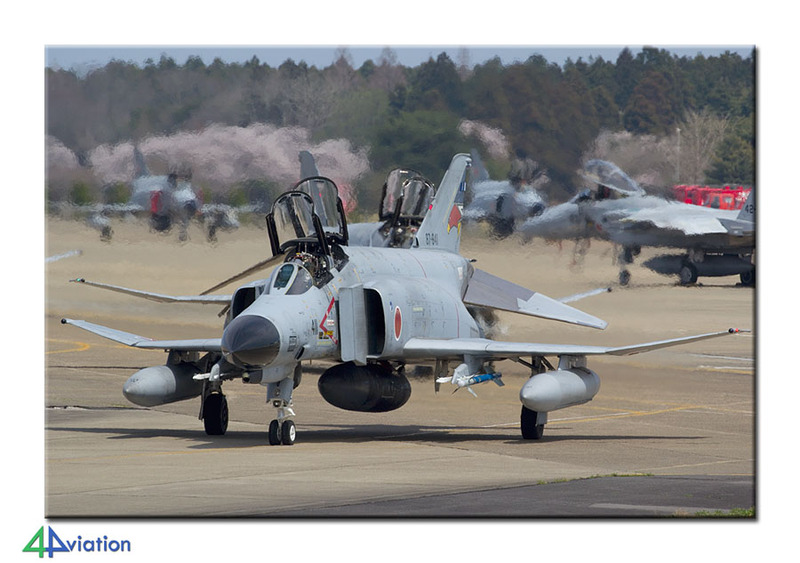 For Tuesday (14 April) we had Tsuiki Air Base on our mind. To get there we had to drive some distance in the morning but it was worth it. 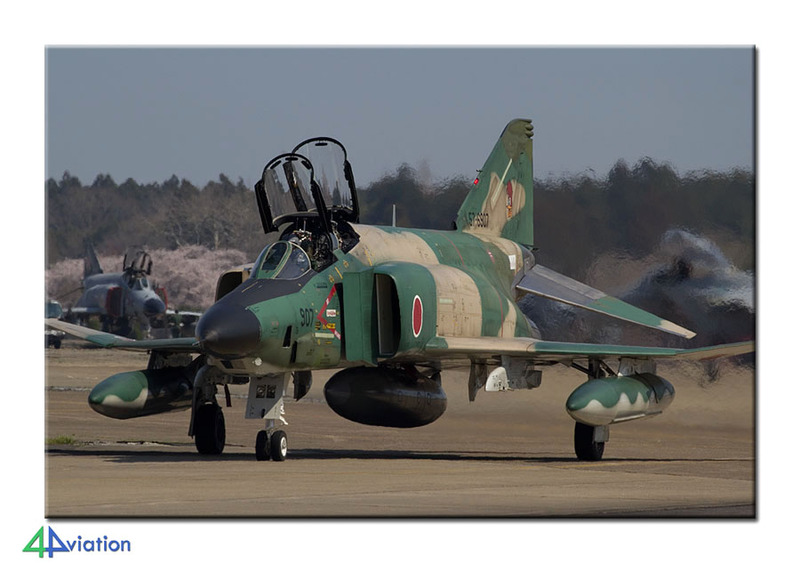 The base was very active, especially the F-2As and an F-2B of 6 Hikotai. The major part of the day the sun was cooperating as well and therefore a lot of photography took place. Later that day we only had to drive a little over an hour to get to our next hotel. After searching too long we finally found a good restaurant for yet another good meal. After that it was time to get some sleep, awaiting the things that would come next. 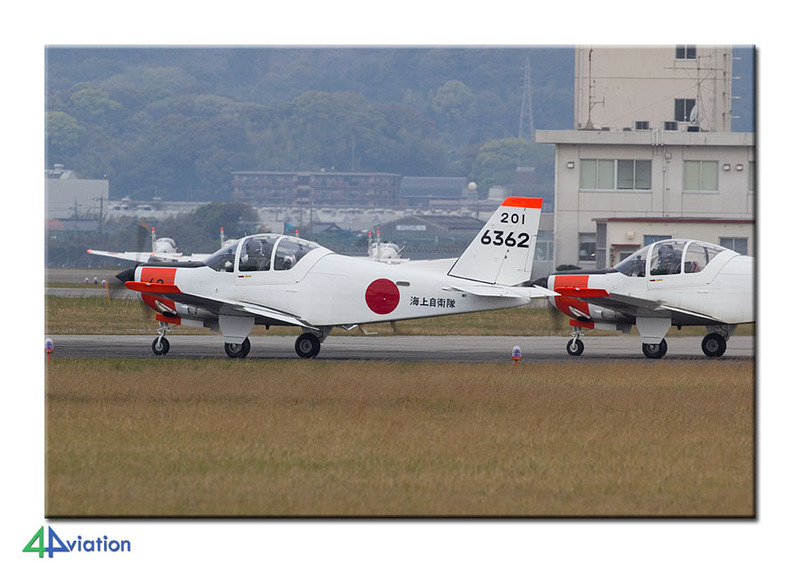 And what came next (on Wednesday 15 April) were a large number of T-5s at Ozuki. 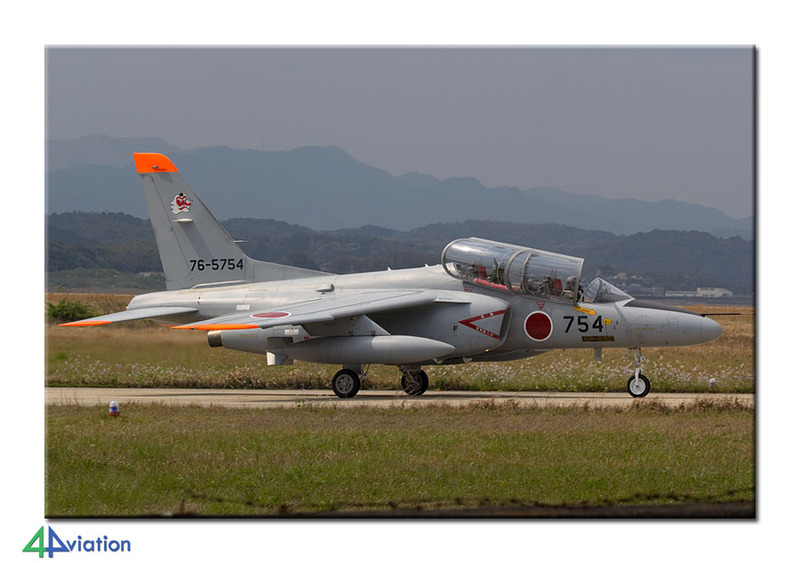 This was followed by T-7s (and a C-1) at Hofu. At both bases we stayed just long enough to capture some aircraft of the types. 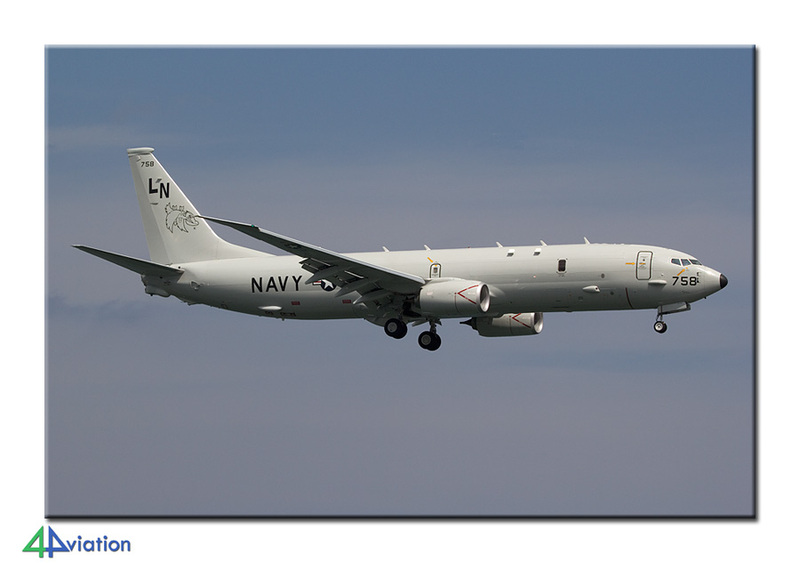 The main target of the day was Iwakuni and we wanted to be there in time. On our arrival the sun was out and fortunately they were approaching and taking off from the North. 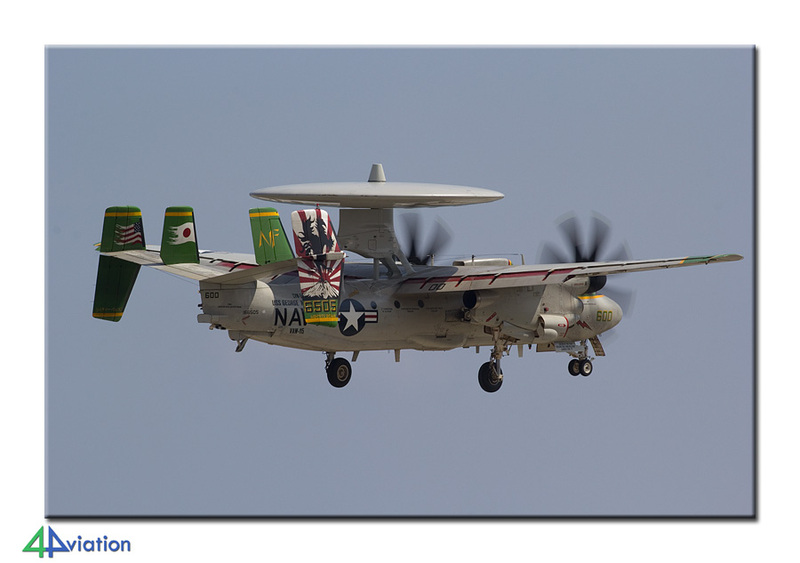 We were treated to many different aircraft, both American and Japanese. 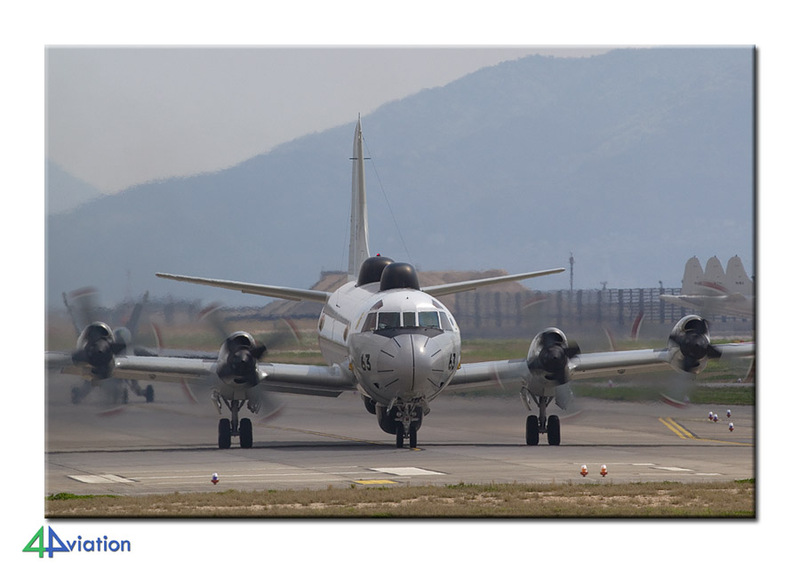 USMC and USNavy Hornets, two Japanese EP-3s, other Japanese Orions, a P-8, E-2s, etc. etc. Very nice! Since we were having fun at Iwakuni nobody minded that we were to arrive late at our next hotel, after covering another 400 kilometres of Japanese highway. Despite our late arrival we had to get up early again in Thursday 16 April. Before we get to Akeno we still had some driving to do. This army-base was pretty active again. While the sun was warming our backs we have documented the activity here for a couple of hours and were able to capture the majority of the different types that operate from here. We then drove to Gifu. We had exchanged Gifu for Hamamatsu the week before so got its chance today (actually a second chance, since we were already there a week earlier). Gifu was doing what we were hoping for; sending up a decent afternoon wave. 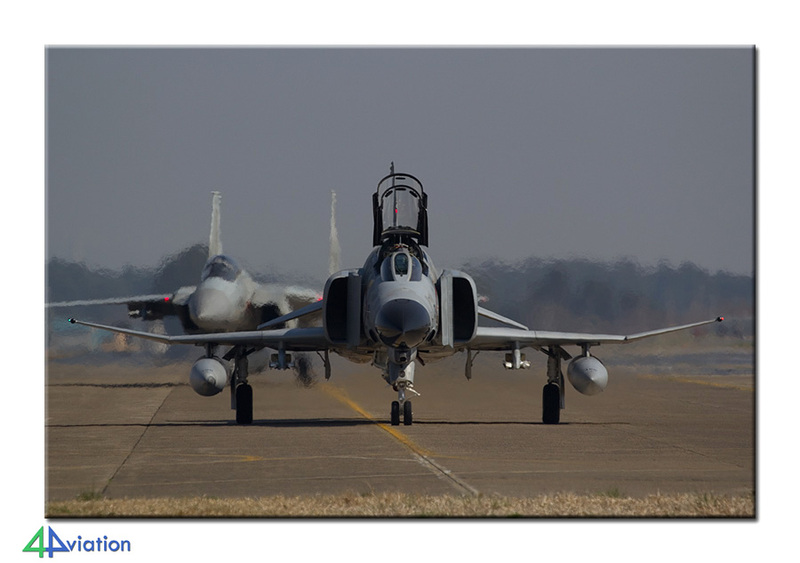 This included two Phantoms this time. We also met 2 friends there (one from Belgium, one from the Netherlands). The sun had to compete with some clouds unfortunately, but we were happy anyway. 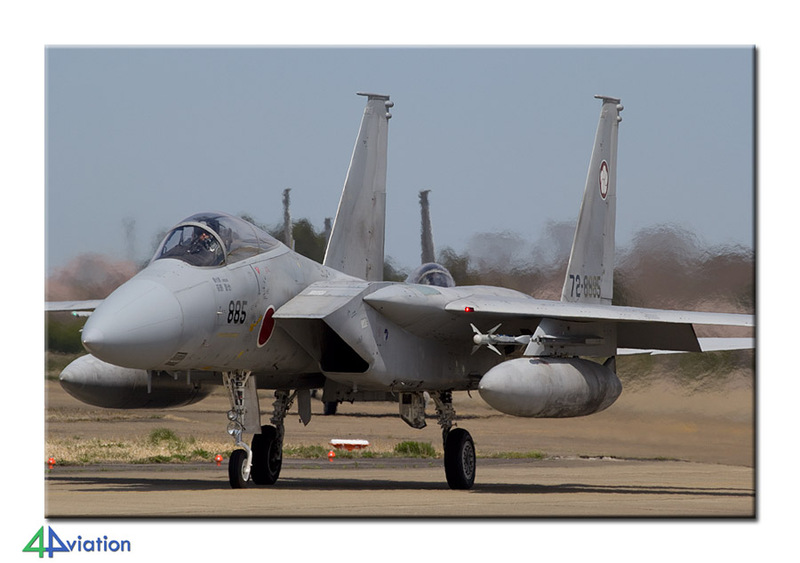 After spending the night near Mount Fuji we drove to NAF Atsugi on Friday morning (17 April). In bright sunlight we stopped for a group picture with Mt Fuji in the background. 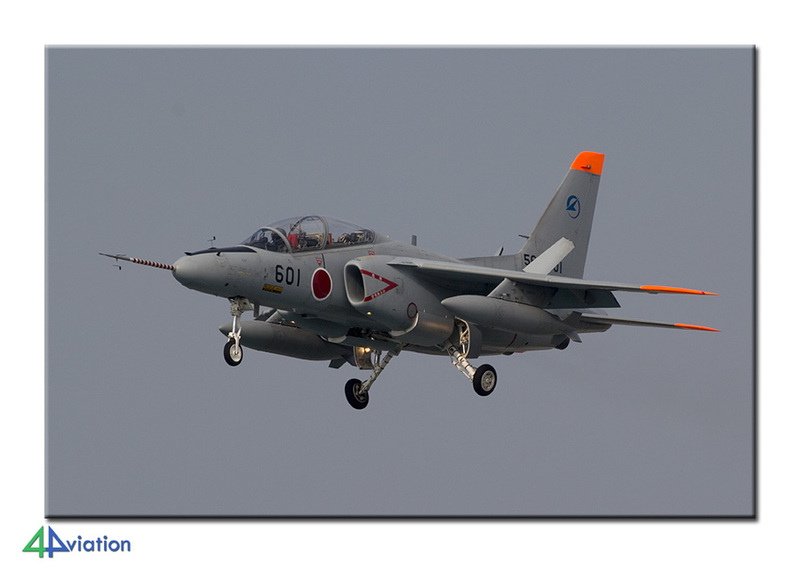 Atsugi appeared to be very active again. Throughout the morning aircraft kept coming and going. 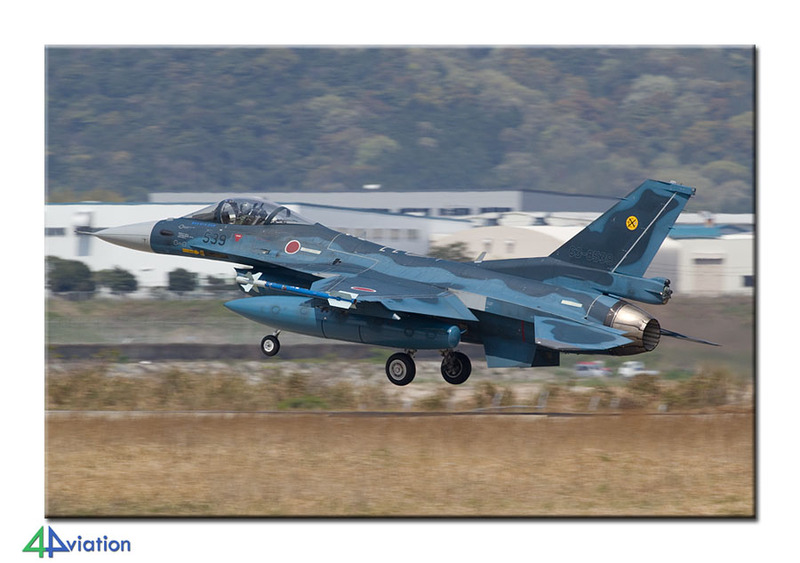 Therefore we skipped the plan to go to Iruma in the afternoon and decided to spend the entire day at Atsugi. They kept on flying intensively in the afternoon. A very nice final operational day! The night was spent just around the corner. 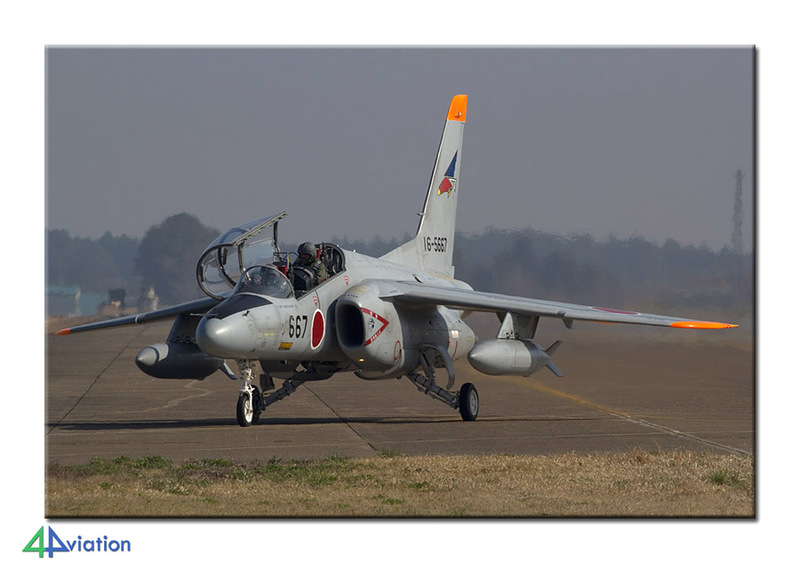 On Saturday 18 April we wanted to visit Yokota. 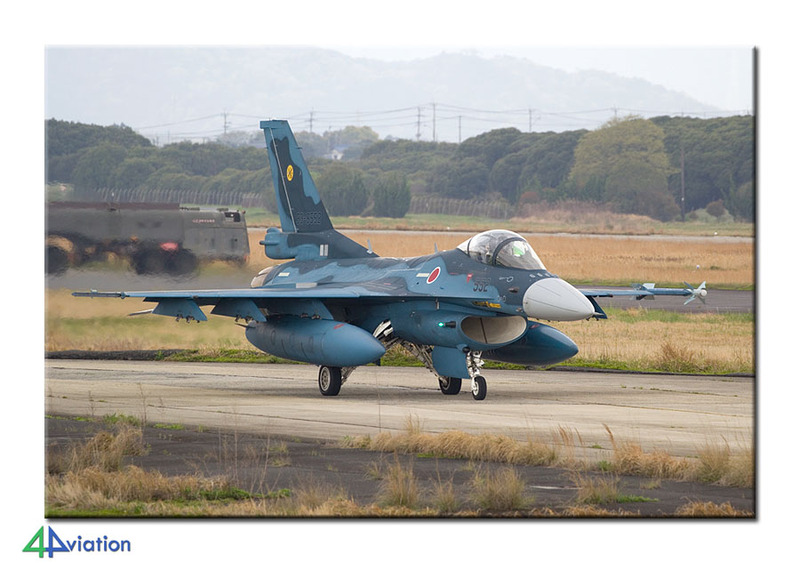 It appeared that not very much activity was scheduled for this day and after capturing the arrival of a USAF C-17 we drove to the Tokorazawa Aviation Museum. This museum would become the final ‘achievement’ of the tour. From the museum we drove to our hotel near Narita and prepared for the return journey. One participant was to stay an extra day in Japan so the handshaking started on Saturday evening already. The rest of the group said goodbye to each other on Sunday 19 April, after being flown to Amsterdam by Lufthansa (via Frankfurt). 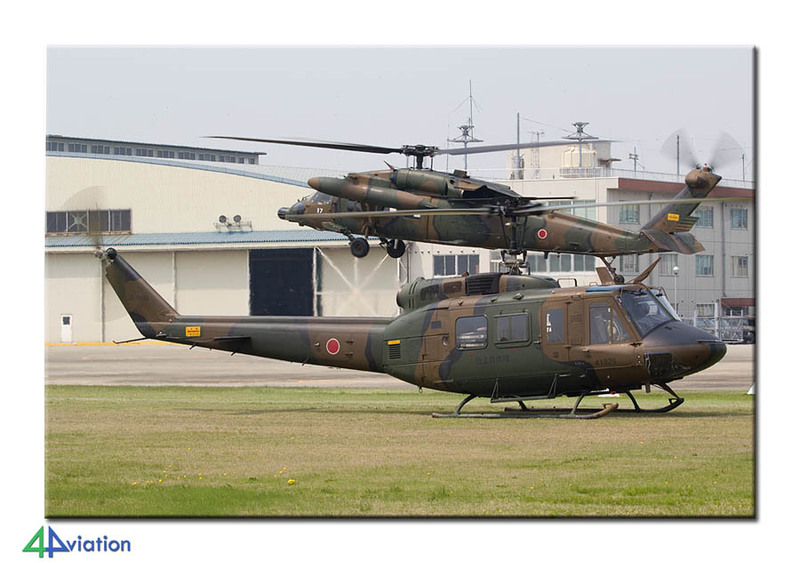 This ended another very nice 4Aviation Japan tour. It was a pity that the weather was not too favourable in the first week, but still the country is an excellent destination!